Although the title might suggest the notion; this is not a discussion of feminism in Mad Men’s very male dominated industry. The inspiration is, in part, taken from the photograph above: a provocative portrayal of beautiful women and men perfectly accessorized and stylishly coiffed. The division of these individuals into feminine and masculine, light and dark, personal and professional, implies not only different natures and different worlds but a separate mystique. Mad Men artfully dramatizes the many ways female identity can wiggle and re-shape in even the narrowest spaces, from captivating leading ladies to intriguing supporting characters. 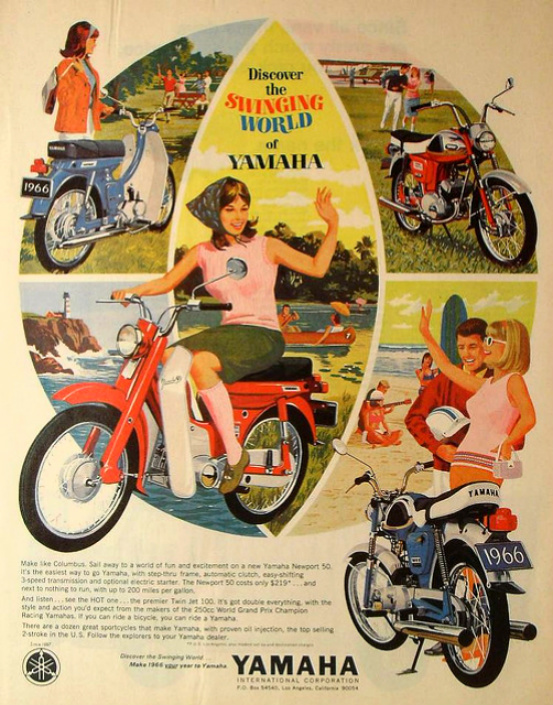 The show has explored some popularly held notions of femininity, some of which were already ossified by the 1960s, by placing these notions within the context of an advertising campaign. 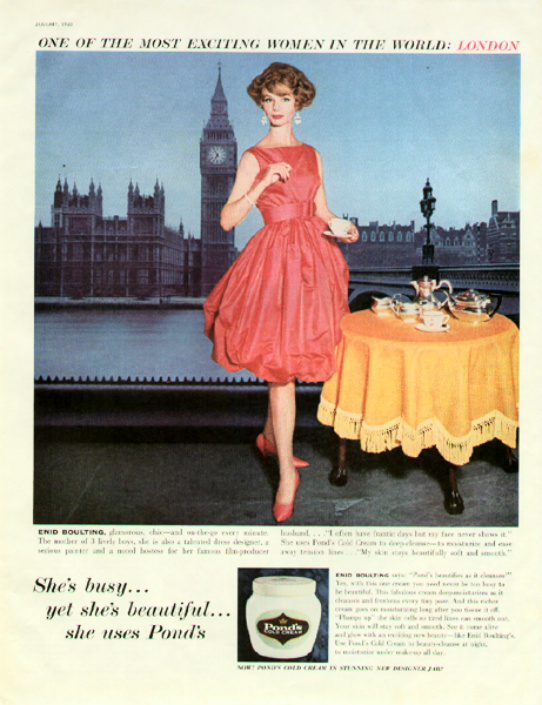 When Paul Kinsey proposed his "new concept" for the Playtex account in "Maidenform," (S2, E6), "All women want to be Jackie Kennedy or Marilyn Monroe", he wasn't referring to their conservative or liberal politics. He was putting a mid-century spin on the old Freudian concept of "the chaste versus the loose" woman. 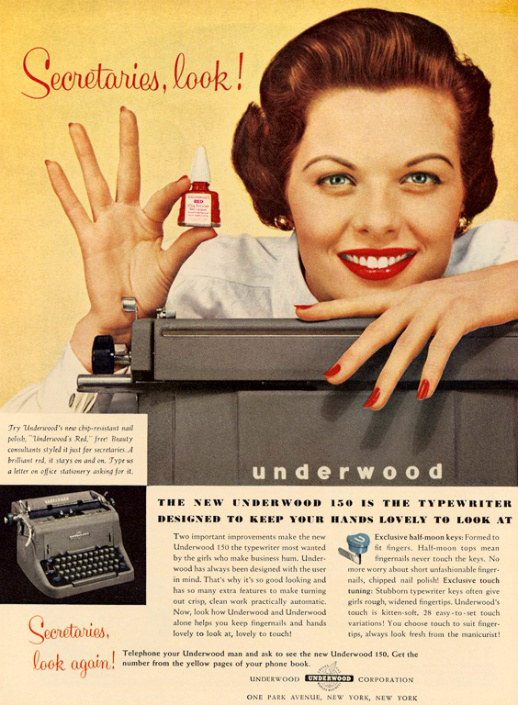 The return of the show for season five is a great opportunity to look back, and in the words of advertising man Leo Burnett, see “the inherent drama of everyday life” through the eyes of Peggy, Joan and Betty, Mad Men's powerful feminine mystique. The quote at the top of the page was introduced in the storyline of "Flight" (S2, E1) and in this context seems to be a wholly masculine concern, but there is no reason why a woman wouldn't want her personality to seem "beautiful, interesting and modern". In 1963, Betty Friedan published her groundbreaking work on the nature of the female, titled The Feminine Mystique, which I will attempt to highlight: her goal was to dispel the notion that women were not only best suited but exclusively suited to the role of wife and mother, an instinctive role portrayed in terms worthy of a mythical character: the feminine mystique. She frankly addressed the false notion that a woman's suppression of her natural role, sublimated by a desire for an education and/or a career, would lead to grave discontentment. Her premise would have taken issue with Ann Margaret singing "How Lovely To Be A Woman" and Nancy Kwan singing "I Enjoy Being A Girl." Why? Despite these songs celebrating the woman of the late Eisenhower era, with humor and irony, Friedan would have claimed each woman’s cause for celebration is too dependent on a phone call from a man, and implies all the trappings of femininity is meant to help catch a husband. 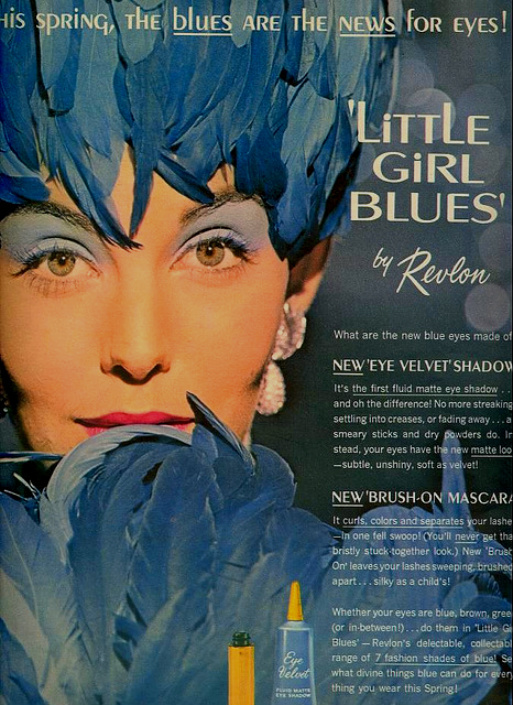 Friedan also appraised the advertising industry from the perspective of inducing women to believe each new product was necessary to her role in the feminine mystique. 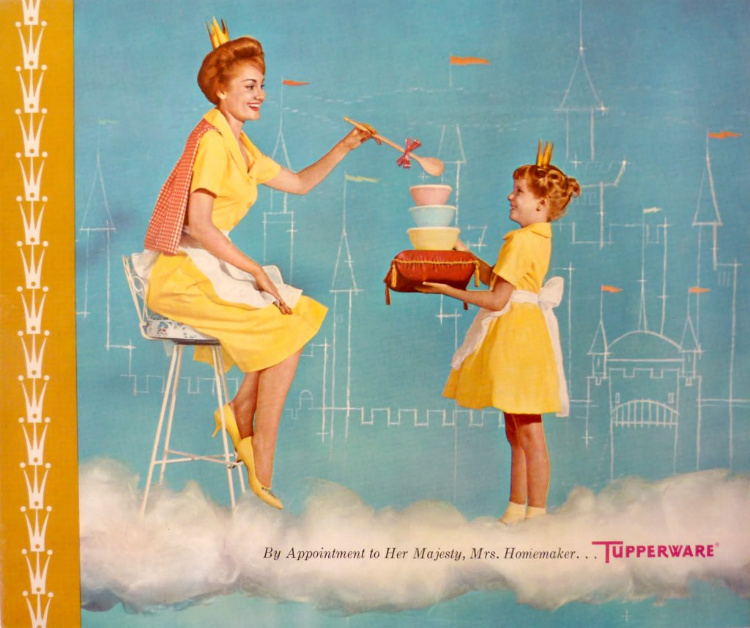 The adage “a housewife's work is never done”, was behind the notion that so long as a woman is busy, she will never question her role as wife, mother and consumer of household goods. The development of a range of cleaning products and household items was intended to keep women busy (and presumably content) Monday through Sunday, sunrise to sunset. This could certainly be interpreted as a woman's guide to elementary Freud with a proto-feminist spin, in Friedan’s defense, we know this is partly true. However, the book has been criticized, after the passage of fifty years, for a limited view of women’s choices and for the research’s exclusion of women of color and a narrow focus of sexual orientation. It would be foolish to assume American women had no options fifty years ago, each life was as different as the woman who would tell the story. “I’m Peggy Olson, and I want to smoke marijuana,” Sterling Cooper’s only female copywriter informs her male colleagues in "My Old Kentucky Home," (S3, E3). A young woman who knows her mind, she later tells her secretary, in response to a comment informing her actions have consequences, “Don’t worry about me. I am going to get to do everything you want for me”. The question is why Peggy doesn’t tell her, “I am going to get to do everything I want,” perhaps she isn’t so certain after all. Peggy has a steep learning curve her first day on the job at Sterling Cooper advertising agency. Her secretarial school training would have prepared her to take and translate shorthand, type and make carbon copies, but unlikely to have equipped her for the intrigues and romantic values of a mid-century Manhattan advertising office. The agency's office manager, Joan Holloway, implies she is Peggy's senior in all the subjects that matter and happy to advise her as she begins her new life. Peggy goes decidedly "off lesson plan"and her innovations result in a heartbreaking scene in "The Wheel," (S1, E13) when she turns away from her newborn child. Peggy's entry into the world of copy writing is made possible not solely based on a clever turn of phrase when she hands Freddie Rumsen a "basket of kisses". He recognizes her ability to create "word images", a skill he is certain will be invaluable in persuading female consumers to buy an entire line of similar products. When her talent is not enough to persuade her male co-workers to take her seriously, and they fail to include her in an important meeting, she arrives at the bar where they have taken the client dressed to accentuate her advantage over her male colleagues. In response to her question regarding her bad luck with men in "The Jet Set," (S2, E11), Kurt, Sterling Cooper's freelance artist, tells her "you are old style" and offers to give her a new hairstyle. Peggy struggles with the dichotomy of needing to be taken seriously as a woman in a male dominated industry, and she stumbles through attempts to be one of the boys while becoming one of the girls. Although her integrity will not allow her to trade on her sexuality to get ahead, she is not without contradiction and she breaks personal and professional taboos when she begins an affair with Herman "Duck" Phillips. The pressure of these conflicting desires finds an object in the person of Don Draper, a man Peggy has reason to respect and trust. She expresses her reserved anger and disappointment in "The Suitcase" (S4, E7), when she accuses him of stealing her idea for the Glo-Coat campaign. She also wonders, with the parade of women in Don's life, why not her? She doesn't harbor a secret wish to spend time in Don's bed, she has accepted the truth behind the image. Peggy does want reassurance that her desire for recognition and her need to be desirable aren't mutually exclusive, and she confides, "I know what I'm supposed to want," she says, "but it just never feels right, or as important as anything in that office." “If this were me I would say something like ‘fun loving girl, responsible sometimes, likes to laugh, lives to love, seeks size six for city living and general gallivanting. No dull moments or dull men tolerated.’ or something like that!” Joan (Holloway) Harris, Office Manager at Sterling Cooper advertising agency comments on Peggy Olson’s notice for a roommate in "The Arrangements" (S3, E4). Joan is a competent and confident woman; she can cook and she's a good hostess; she can play the accordion and sing in French, if necessary. She makes no secret of her taste for the finer things in life, and she is certain she'll get everything she wants. 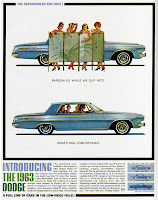 The 1963 Dodge gives women options. The trouble is, she has been married to a young surgical resident for a year, and she seems as discontented with married life as she had become with her life as a single woman. Joan’s voluptuous feminine allure appears to mask something darker, sometimes merciless, which often shows through the cracks of her well-coiffed, couture-clad exterior. Joan is in the midst of a year-long affair with Sterling Cooper partner Roger Sterling in "Long Weekend" (S1, E10) when he tells her he is free to spend the weekend with her. Joan is far from the "fun loving girl" Roger expected when she refers to The Apartment and describes a female character as being “handed around to the office men like a tray of canapés”. Joan later reveals to Roger in "Six Month Leave" (S2, E9) a vulnerability he seems unable, or unwilling, to accept. He sees the death of Marilyn Monroe as inevitable, a movie star who had everything and threw it away. Joan sees herself in Marilyn, a beautiful, sensual and vulnerable woman who, after "this world destroyed her," was destined to die alone. Joan has begun to consider the truth of being a self-aware and sexually liberated woman, much like a courtesan of an earlier era it comes with built in limitations and an equally bleak future. Joan doesn’t tolerate others defining her life or her personality, and she has an even lower threshold for whiners. When Joan asks Lane Pryce for time off to spend with her husband in "The Good News" (S4, E3), Lane alludes to her willingness to use her sexuality to get whatever she wants, "I understand that all men are dizzy and powerless to refuse you", and he adds, "Don't go and cry about it". Joan later expresses a frustration that Peggy Olson knows only too well when she throws a bouquet at Lane and tells him, he consistently makes her "feel like a helpless, stupid little girl." When her husband returns defeated after doing poorly on an interview in "The Gypsy and the Hobo" (S3, E11), Joan is so enraged by his comment that she has never known what it is "to want something your whole life" and not get it, she picks up a vase and breaks it over his head. She might feel a crack on the head is the least he deserves, after he raped her at Sterling Cooper and she quit a job in which she had made herself indispensable. She might feel his failure to notice she wants so much more from her life is typical of him; he had told her earlier she should "be home eating bonbons and watching television, not reading scripts". However, her act of rage is made all the more inexplicable in "The Summer Man" (S4, E8) when she arrives home as her husband is about to leave for basic training. "Who am I going to talk to?" she asks him and breaks down in tears when he mentions her friends at work. Her overwhelming sense of isolation could lead her deeper into a cruel deception. “I hate this place, I hate our friends, I hate this town,” Betty Draper informs her husband in "Souvenir" (S3, E8) after an idyllic trip to Rome. Why is Betty Draper so miserable? 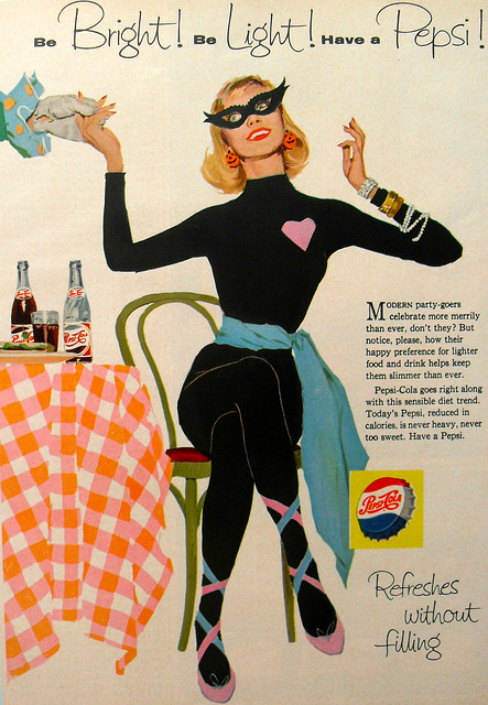 She lives a charmed life as the wife of Sterling Cooper’s most promising advertising executive. She had an affluent childhood; attended Bryn Mawr; where she majored in anthropology; she had a brief career as a model; she is well-read and speaks fluent Italian. She lives comfortably in a beautiful upstate suburb, where she is a housewife raising three young children. Be Bright! Be Light! Have a Pepsi! Betty Draper is also, much like Joan Holloway, a good hostess: she knows how to dress well and set a good table. Her misery is abated with cigarettes and cocktails, horseback riding, European vacations, a glamorous wardrobe, and occasional target practice with a neighbor's pigeons. Why, then, is she fast becoming the inspiration for “Mother’s Little Helper” with her own fainting couch? Betty spends time in therapy, after exhibiting “unexplained emotional episodes,” which could be further compounded when her husband echoes her doctor’s assessment in "Red in the Face" (S1, E7), “Sometimes I feel like I'm living with a little girl." Betty could be living her life with unrealized aspirations, in a mistaken sense of loyalty to her mother, whose standards continue to haunt her. Her relationship with her husband perpetuates the parent/child dynamic. He scolds her for allowing a salesman into the home, he criticizes her bathing suit for looking desperate, and uses her as a test subject for a ad campaign. Perhaps Betty finds a few answers in her choice of reading material, The Group by Mary McCarthy. The novel explores many themes, including the notion of whether higher education makes women unsuitable as wives and mothers and the use of mental illness by husbands to control ambitious and intelligent wives. Are The News for Eyes! and for Little Girl Blues. Betty confides to her therapist in "The Wheel" (S1, E13) in her first truly honest moment "I can't help but think that I'd be happy if my husband was faithful to me”. A particularly messy exposure regarding her husband’s infidelity with the wife of a comic, finally forces Betty to face the harsh reality regarding her marriage. Betty tells Helen, her divorced neighbor, in "The Inheritance" (S2, E10) that Don has moved out of the house. She is undecided about the future of the marriage and responds, "Sometimes I think I'll float away if Don isn't holding me down." Her divorce from Don Draper, when she learns the truth of her husband’s past, and her remarriage to Henry Francis, does nothing to alleviate her feelings of insecurity. Although she made no secret of her contempt for all things Ossining, she lives in the same house with her new husband that she once shared with Don. She has never been a bad parent, perhaps a little disengaged, but she is becoming increasingly irrational with Sally and Bobby. Henry's mother observes the children during a particularly stressful Thanksgiving in "Public Relations" (S4, E1) and tells her son "They are terrified of her". Betty responds in "Tomorrowland" (S4, Ep13) when Henry asks her why she fired Carla "I want a fresh start". However, she appears overwhelmed by the prospect of leaving her old life behind and lies down on Sally's unmade bed. This post is dedicated to Sterling, Cooper Draper and Pryce's most senior member of staff, Ida Blankenship: she was conscientious and loyal to the bitter end. Guest contributor Whistlingypsy's blog is Distant Voices and Flickering Shadows. Wow - Gypsy - what a beautifully written, well researched and insightful article. As a woman, I watch this series and thank the lord I was not an adult during those times. The characters of Peggy and Betty are so interesting to me - Peggy for her fledgling, instinctive independence and Betty because I want to see her grow and get out of this mess! 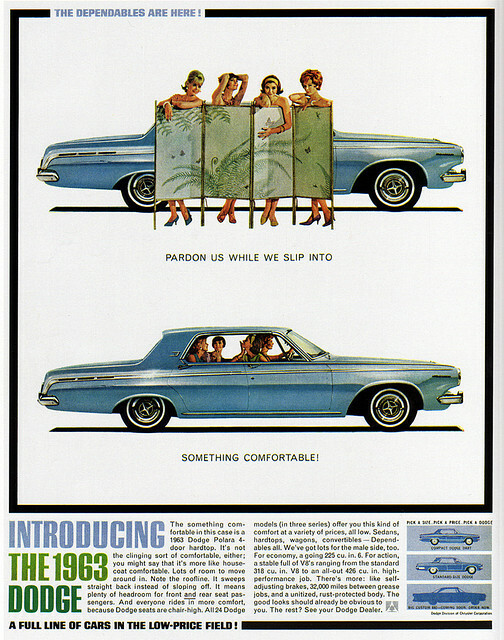 A wonderful post, Whistlingypsey - you brought to mind many images from memorable episodes of "Mad Men". The female characters in the series are possibly the most fascinating to me because of the issues you discuss. Given that so much of the show is dealing with a period of change in our society, it would only follow that characters like Betty, Joan and Peggy, who must live through many of the era's conflicting gender pressures, would be fascinating embodiments of that change. Your final dedication to Ida Blankenship was a twist of irony that I appreciated (she died with her pumps on); I'm sure that others familiar with the show also had to smile. Marsha and MCB, thank both for your comments and feedback on the ladies of Mad Men. I hope I honored Matt Weiner and Company with the same spirit of black humor that infuses the show. Betty Draper Francis is the character I had the most trouble condensing. MW and Co. have given elaborate hints and indicators regarding Betty’s trials, but it is still unclear what they intend for her. I'm glad you appreciated my dedication to Ida, and your image "she died with her pumps on", sublime. I’m looking forward to the 2-hour premier, and anxious to get caught with everyone (this is me jumping up and down on my couch, “Hurry up, March 25!”). Yes I agree with the comments, a wonderful, informative and insightful post Whistlinggypsy.There is so much depth in these characters that it makes watching the show both a revelation and a search for meaning in that period that loved sterotypes. I also appreciated your memorial to Ida Blankenship and Motorcycleboy's quote - a different take than Roger Sterling's "She died like she lived: Surrounded by the people she answered the phone for." Christian and Kay, thank you for your comments, as always it is lovely to hear from both of you. I found it interesting when putting all of this in context; many of these theories were based in Freudian concepts, lending the ideas an air of authority. I am certain many contemporary women struggle with similar issues their mothers and grandmothers worked to change. I also appreciate in “Mad Men” that it offers an hour in front of the television that both entertains and provokes. This is a really fascinating reflection on the American female identity as it evolved during the mid-century era – and as it is so perceptively depicted in the lives of Mad Men’s three main female characters. You’ve captured the each character and her particular experience of the changing feminine mystique so well. 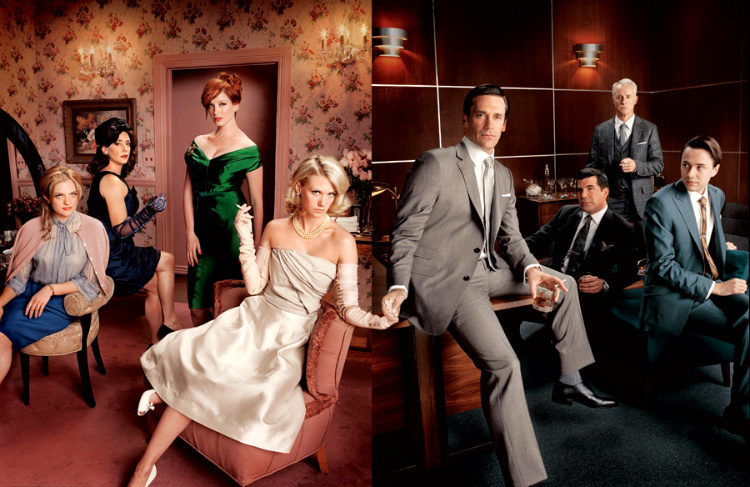 Some who are unfamiliar with Mad Men may wonder why so many of us find it irresistible. Mad Men is that rare jewel on commercial TV, a brilliantly written series with a compelling storyline, well-defined and portrayed (and impossible not to relate to) characters, incomparable production values, etc. – that also deals, intelligently and thoughtfully, with timeless themes. Your inspired piece reflects all of these things. I truly enjoyed reading this, Gypsy - especially since it was full of stuff I didn't know. Where have I been? I guess I've seen less of the shows than I thought I had. I have to admit that ever since th beginning I though Mrs. Mad Men (Draper's wife) was a little odd. But the one character I worry about is the one nobody talks about. The gay art director - who was he? I think he was fired from Sterling Cooper when they found out he turned down a pass from a client. I always wanted to know what happened to him later? Yvette, the name of the gay art director was Salvatore Romano. I always thought he was a great character who had many possibilities in the show. Since his unjust dismissal he hasn't returned but I think he could well be a character that Matthew Weiner brings back in the future (hopefully sooner rather than later). The scene where Sal unintentionally "comes out" to his clueless wife while spontaneously re-creating Ann Margaret's performance of "Bye Bye Birdie" is a classic. The expression on his wife's face speaks volumes. Yvette and MCB - Sal was fired because he rebuffed a client's advances and the client was one of the top men at Lucky Strike, SCDP's biggest account. Now that Lucky Strike is no longer with SCDP perhaps the door will be open to Sal again. Hope so. He's a great character and is missed. Gypsy, I still have not had the time to see the TV show, Mad Men. Although, I still enjoy reading your awesome posts. When I do get a chance I will keep your post in mind and enjoy the TV show even more. Bryan Batt who played Sal is also an interior designer and runs an interior furnishing store, Hazelnut, with his partner in New Orleans. And he's an author and still acts. He may just come back to the show! Eve, thank you for your insightful comments regarding “Mad Men’s” appeal for fans, and for your synopsis for those who haven’t been faithfully watching over the past five years. I’ve been a committed fan since “Smoke Gets In Your Eyes” (watched it twice that night), and I took a bit for granted when writing about these characters. Your comment regarding Ida Blankenship is one more reminder of how the show can be darkly humorous and simultaneously provocative. I had forgotten Bert Cooper’s comments, but now I can’t get the image out of my mind: Ida floating about in space wearing pumps with her astronaut suit and her cat glasses glinting behind her helmet visor, hilarious. Yvette, MCB, Eve and Christian, I’m so glad you mentioned Bryan Batt’s character, Sal. I saw an interview with him shortly after his character was written out of the show. He was promoting his memoir and the interviewer asked him what he hoped would happen to Sal. His response made me think his character wouldn’t disappear entirely, but he didn’t appear in season four. Bryan Batt has an interior design firm in New Orleans, where he lives and works with his partner, and which seems to be his focus now. I hope the next time we see Sal, if he returns to the series; he will have his own agency with a focus on image over text (which he spoke of so eloquently). His firm could compete with SCDP for an account, which he could also win. I think it is interesting, given the context of this post, that Sal’s character was the one whose career and life was so altered by an act that would be considered sexual harassment today (just an observation). 'Gypsy - Speaking of sexual harassment...I may not have been working during the Mad Men era but...In the late '80s there was a celebrated sexual harassment case in SF in which the plaintiff won an enormous settlement from the law firm (!) where she was a temp. When I read of the circumstances leading to the suit in relation to the settlement I remarked, "If sexual harassment had existed a few years ago every woman I know, including me, would be rich..."
How fun that you looked at the fashions Gypsy! This was so enjoyable and makes me want some of those cigarette pants. My mom dressed very fashionable this way during the 60's and she had the cutest falls she wore to work. Can't wait to see what's up next. So sorry to be late on my comment, but a terrific piece that I thoroughly enjoyed. Well done!